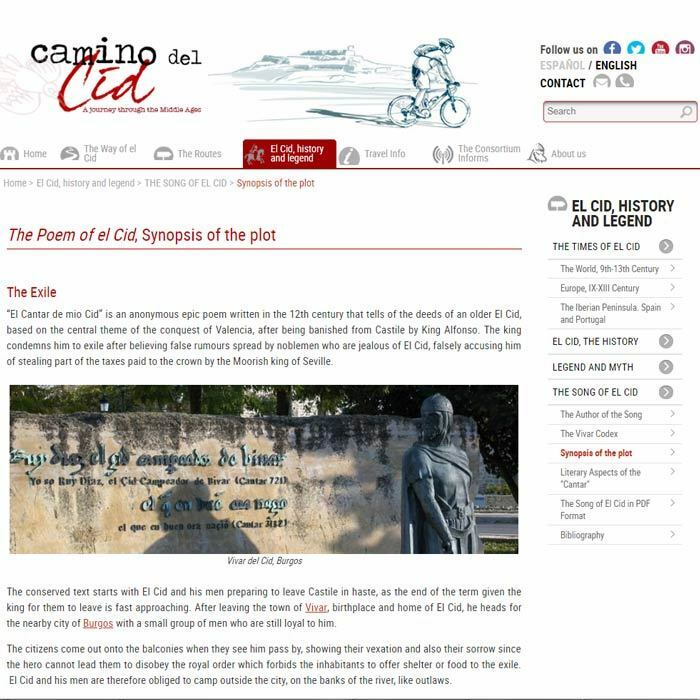 The Camino del Cid Consortiun has launched a brand new website in English. It is a valuable instrument containing key information to ensure you enjoy this cultural route. The Way of El Cid is a tourist and cultural route following the footsteps of the medieval knight El Cid, one of the most popular Spanish epic heroes. The source of inspiration for the route is the late 12th-century epic poem El Cantar de Mío Cid, which deals with the exile of El Cid from Burgos and the conquest of Valencia. The Way of El Cid runs across Spain, crossing through Castile and reaching the Mediterranean coast. The route covers around 2,000kms and it is divided up into 11 thematic routes. All routes are marked and you may choose to travel by car or MTB, to ride a bike along secondary roadways or to walk along trails and paths. The hiking route is mostly certified as a GR 160 route. 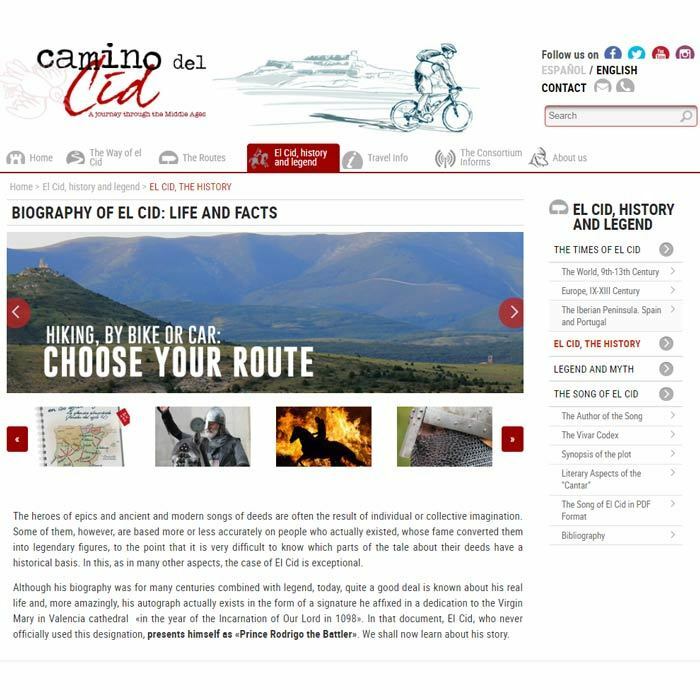 The website contains information about the Way of El Cid and about the best way to travel along the route. It also offers specific information for each of the thematized routes, including information relating to the tourist sites, history, arts and environment of the places through which the route runs. 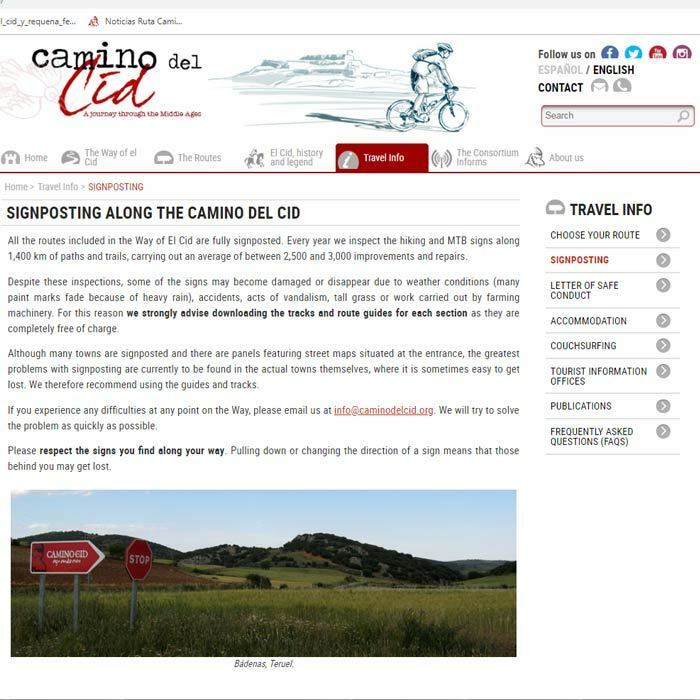 You can download route tracks, route guides on PDF, accommodation options, tourist offices, etc., which contain specific information depending on whether you travel along The Way of El Cid on foot, by MTB or by bicycle on secondary roadways. Under the section entitled The History and Legend of El Cid there is detailed information concerning El Cid and El Cantar de Mío Cid, (the Song of my Cid) which has been written by the world’s top experts on this historical figure: Alberto Montaner, who is a full professor at the Universidad de Zaragoza, and the members of his research group. Under the section entitled Travelling Information you can find a wealth of updated travel information to help you prepare for the route. 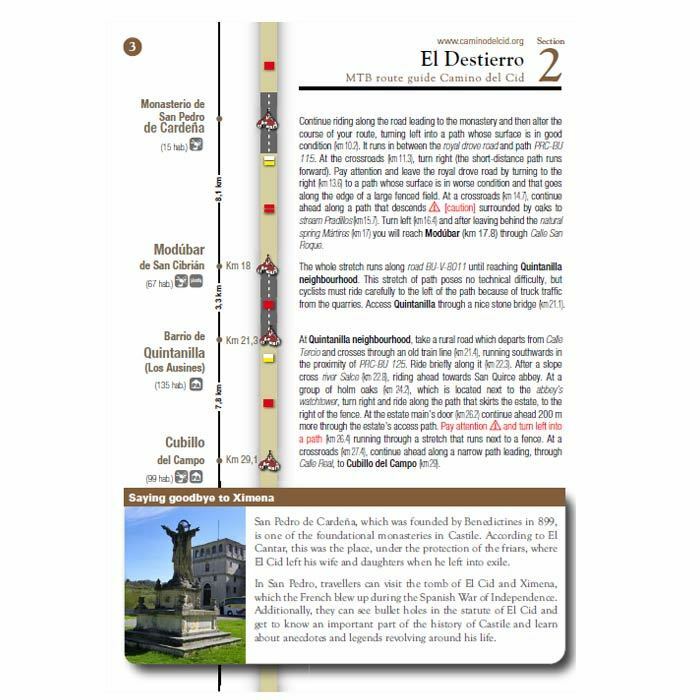 Information ranges from the different kinds of signposting you will encounter along the route to useful information for foreign people travelling along the Way of El Cid. If you are willing to get an overview of the different routes, click on the geographic finder icon. Yet, bear in mind that we are currently translating many of the sections, so that much of the information is only available in Spanish. We apologize for the inconvenience this may cause. If you require any further information, please feel free to contact us. We will be happy to assist you. 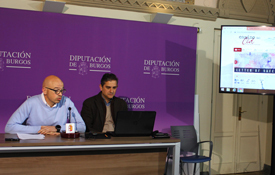 The Way of El Cid is a tourist and cultural public initiative funded by the provincial governments of Burgos, Soria, Guadalajara, Zaragoza, Teruel, Castellón, Valencia and Alicante. The Way of El Cid is part of the Cultural Routes of Spain programme, owed by Turespaña, the Spanish national agency responsible for marketing tourism in the world.